This volume contains the two long historical dramas about the prophet ›Moses‹ (1906) and Emperor ›Napoleon Bonaparte‹ (1911) as well as the ›Panspiele‹, published in 1901 and consisting of four of his own stage plays. Debuting successfully in Cologne in 1910, these play focus on the wonder of love. The critics praised the lyrical musicality of the language in these plays. 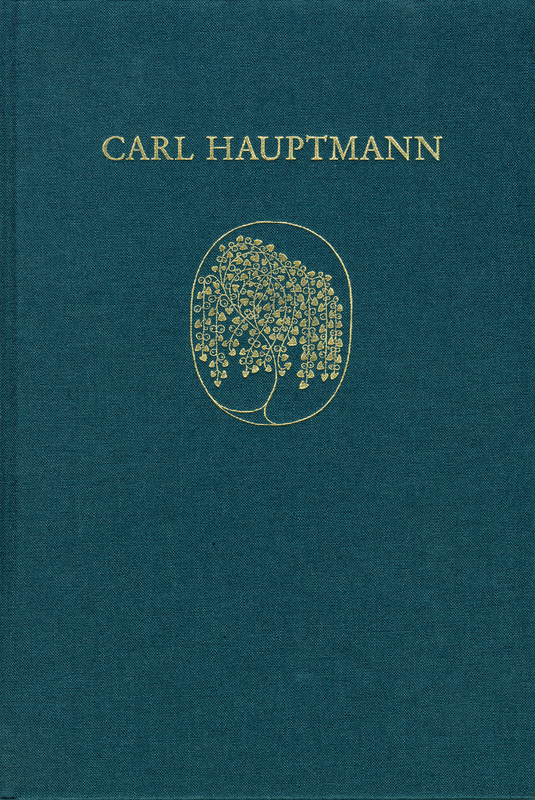 Carl Hauptmann himself believed that in writing the drama ›Moses‹ in blank verse he had matured and was one of the greatest. The two-part drama about Napoleon fascinates due to its unconventional depiction of Napoleon, the way in which it traces the mythical and the brilliant figure, and the way in which it set itself apart from the numerous dramas about Napoleon in the 19th century. Unfortunately the play, which was extremely ambitious, was never performed.